While the New England Patriots and Los Angeles Rams plodded down the field at Atlanta’s Mercedez-Benz Stadium, the T.V. ads kept audiences entertained amidst the lowest-scoring Super Bowl ever. The talk of your office today is most likely banter about which ads were most memorable — as well it should be! Rather than simply round-up the best SB53 ads, though, we wanted to take this opportunity to shine a light on the agencies that put the teams on their backs and delivered truly delightful, engaging, and watercooler-chat worthy spots. Finishing first in USA Today’s ad meter, the NFL’s centennial commercial stole the show during Sunday’s broadcast. Featuring iconic players and epic recalls from games past, the ad was veritable who’s who of NFL lore. Behind this spot was 72andsunny, a full-service agency with offices in L.A., New York, and Amsterdam. While a talented, seasoned director and incredible on-screen talent like NFL stars make any ad more appealing, we know that 72andsunny must have done a ton of legwork to create such a well-received spot. Congratulations to the agency! According to our WinmoEdge team, Pepsi has a total investment of over $15 million with creative AOR Goodby, Silverstein & Partners across its brands. With Coca-Cola running the Atlanta scene, Pepsi made an effort to outshine the rival effort by sponsoring the Super Bowl and this high energy spot featuring Lil Jon, Cardi B, and Steve Carell. Goodby, Silverstein & Partners not only created this Pepsi ad but also 30-second spots for multiple other brands including Doritos and Bubly. As the creative AOR since 2017, total investment thus far totals $15 million, and it is clearly well worth it for such a strong attempt to overshadow Coca-Cola in their hometown. While an agency review is predicted, their work with Pepsi continues to get stronger! Great work, Goodby, Silverstein & Partners. What length would you go to for an avocado? The millennial fruit made an appearance in an interesting ad in this year’s Super Bowl, featuring a canine show where dogs perform alongside their owners. AFM will continue its “Savor Every Moment” campaign throughout 2019, and sources reported marketing spend will continue to increase in order to encourage growth. Creating one of the most interesting ads in the bunch, Energy BBDO succeeded in engaging customers in a unique way and lived up to their mission of energizing brands through their work. The Super Bowl commercial was the fifth consecutive for the company, with another job well done for the Energy BBDO agency. Burger King hasn’t made a Super Bowl ad appearance since 2006, and this year’s ad was simplistic and silent, yet still very effective. The #eatlikeandy piece features archival video from 37 years ago of Andy Warhol eating a Whopper. The footage was originally captured for a film, but with permission to repurpose it Burger King capitalized on the opportunity to stand out among the typical Super Bowl commercial and communicate that Whoppers are for everyone, the famous, the poor, the wealthy etc. The agencies came together to produce an ad that would capture the viewer’s attention after not participating in the Super Bowl for an extended period of time. Congratulations to both agencies for transforming old-school footage into an edgier marketing approach depicting one of America’s most iconic artists. Since the beer industry is severely struggling against beer and wine, Ab InBev decided to launch a bigger Super Bowl initiative than ever before across all of its brands. Across the board, ads consisted of new products and outdoor content. Stella Artois, in particular, used an approach with Sarah Jessica Parker and Jeff Bridges as icons of pop culture to target Gen-X and older millennials, following the celebrity trend with this year’s ads. With a recently named CMO, be on the lookout for more work and more progress in the “Change Up the Usual” campaign. This year marked Ab InBev’s largest investment in ads for the game to date, and it paid off. The agency beautifully targeted the millennial and Gen-X demographic. In its first Super Bowl appearance, Bumble announced a campaign with Serena Williams called “The Ball is in Her Court.” Williams is the new Global Advisor and is on a mission to bring awareness to the feminist branding. The ad addresses millennial and Gen-Z audiences in an effort to empower them while simultaneously introducing the company’s newer features. The agencies were extremely successful in promoting the brand’s core message of social change and the #inhercourt movement in a more touching and emotional Super Bowl ad. After sitting out last year, Audi made a return to Super Bowl advertisements with a 60-second spot promoting electric vehicles. Audi plans to launch three battery electric cars in the next few years, with the e-tron SUV being this year’s focus, along with a cashew (random, we know). This ad marked the company’s tenth in the Super Bowl, competing with other automakers such as Mercedes-Benz, Toyota, and Hyundai. The ad represents a significant moment for the electric car industry, which has never been publicized as heavily until now. The odd yet humorous approach by Venables, Bell & Partners was one of the most well-received ads according to fans on Twitter. This extremely creative storyline will be one that people remember. These brands and their media agencies specifically stood out to our team, but we want to hear from you! 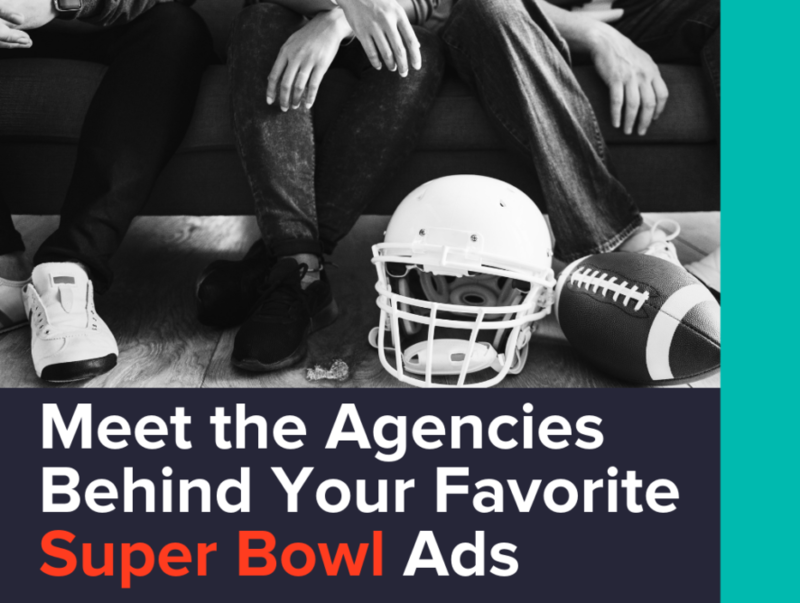 Let us know your picks for agencies that deserve some recognition for this year’s Super Bowl performance!